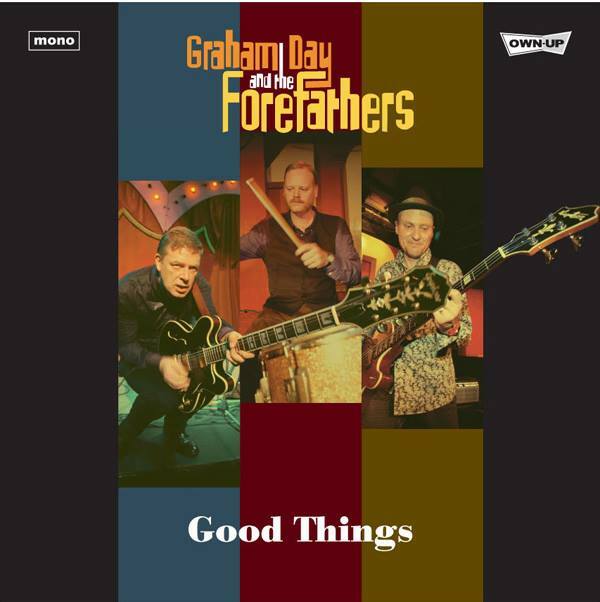 Graham Day and the Forefathers are the trio of Graham Day (vocals and guitar), Allan Crockford (bass and vocals), and Wolf Howard (drums). These guys are no youngsters. They have been blasting out their muscular, testosterone-laden version of garage rock in various incarnations for over 30 years. Graham and Allan were in The Prisoners (1982 – 1986), before forming The Prime Movers with Wolf in 1988. They split in 1993, reformed as The Solarflares in 1999, and called it quits again in 2004. They’ve also played in The James Taylor Quartet and Goodchilde (Allan and Wolf), and Billy Childish’s Buff Medways (Graham and Wolf). They reunited as The Forefathers in 2013 as a live band. Listening to Good Things you can definitely tell that this is a party band. The title track opens the disc and right out of the gate they tear into you with raw gut-wrenching 60s rock ’n’ roll. I am astonished that at their age they can still deliver the goods as if they were in their teens! I do not normally notice the drums on a record, nor the bass. But in the case of the Forefathers Wolf slays you with his relentless and inspired drumming and Allan is all over the neck of his bass. These two are not content to let the lead guitar get all the glory. Bands that come to my mind are The Pretty Things and the Zombies. The one draw back is that on about half of the songs they do not get of each others way and the result is more a wall of sound. Nevertheless, most of the twelve songs address different aspects of strained and contentious relationships. The one outsider is the instrumental “Sitar Spangled Banner,” that in my opinion is the best track on the disc. It is a bit crisper arrangement, each musician has room to move, and the song is almost surf music. The other standout tunes are “You Always Find a Way to Hurt Me,” “Sucking out My Insides,” and the closer “Get off My Track.” If you long to kick out the jams, this one’s for you.